The lovely bride are heading down to Washington DC to ring in the new year with friends. If, amongst the ringing, we happen upon a corkscrew or two, I will report back here. The other day, a nice Rousseau patent was listed on eBay with a buy it now with best offer (henceforth BINwBO). Interestingly, the seller also included the receipt from the Christie’s auction, which showed the previous owner plunked down 612 £ (about 950 $) for the unmarked corkscrew. And, being true to form, I decided to see how low I could go, and still manage to pick up the 1905 Rousseau for a deal. So, I decided to utilize the BO part of the BINwBO, and after a brief exchange the seller, the Rousseau ended up being sent to the island–for substantially less than the Christie’s price, and substantially less than more recent sales on the ICCAuction. You gotta love a motivated seller, or BINwBOer as the case may be. Also, the hunt for different advertising on Detroits, Davises, and Puddefoots continues. 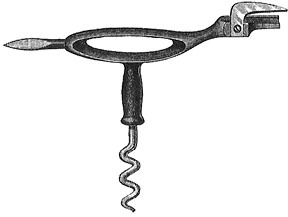 I have managed to unearth some old articles (circa 1893) that mention some of the bottlers utilizing the Davis and Detroits as vehicles for their advertising–specifically mentioning Welch’s, Greenway Bottling, and others… And, I would like to add a few of these various advertisements to the growing Detroit corkscrew collection. Pabst, Brotherhood Wines, Greenway, Welch’s, Minneapolis Brew’g, Schlitz, others? Also those that were a souvenir for the Columbian Exposition of 1893, I am interested in trading for, or buying outright. Alternatively, if you have an unusual advertising Davis, Detroit, or Puddefoot please email me with images of the markings. While the best 6 of the year was published a few days ago, and sent to the members of the ICCA, another Frary arrived in the mail today, and this puts the count up to 16 corkscrews made by our man James Darius. We have a long way to go until the end of the corkscrew fiscal year 2012, but it is entirely possible that today’s arrival–the oblong open handle, with hercules-type mechanism–will make next year’s best!!! While the Corkscrew Fiscal year ends in two weeks, and there might be additions before the stroke of midnight December 31st. 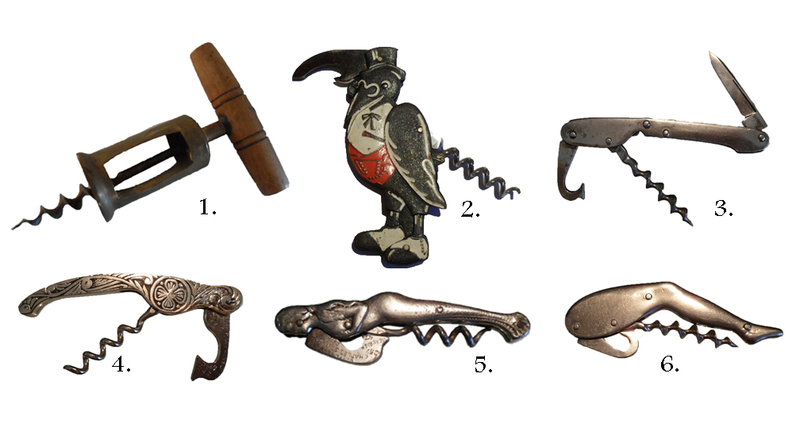 I have put together my best 6 corkscrews for 2011. And, they are now online on my Best 6 page. It was a pretty tough decision this year, as I went back and forth as to include the Comedy and Tragedy frame, or the Old Crow figural. And, while the Comedy and Tragedy is certainly a fantastic corkscrew, I decided to include the Old Crow, as I had wanted to own one from early on in my collecting. Here are the best 6 of 2011. 1. 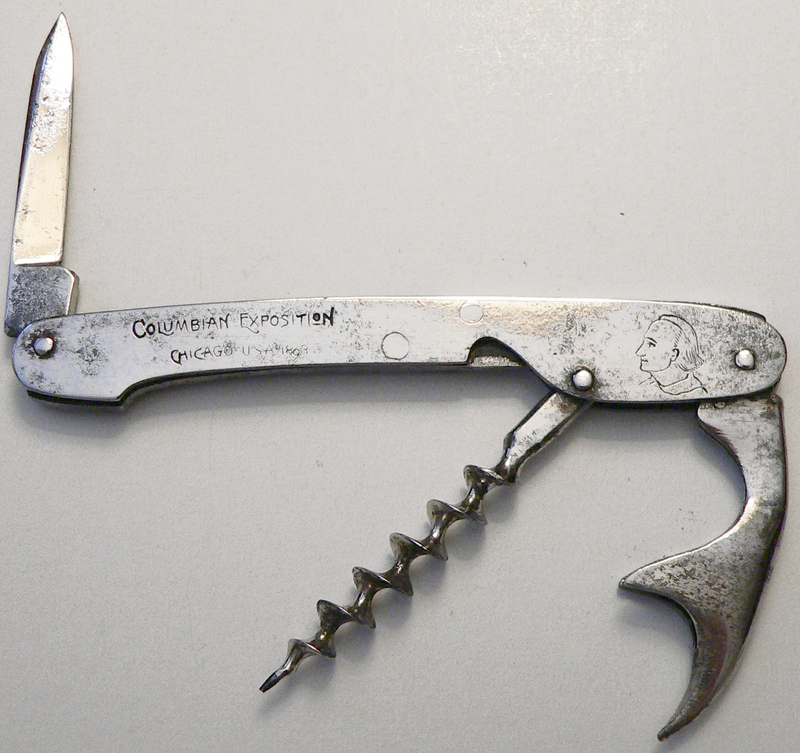 Unusual example of the 1862 Charles Chinnock patent corkscrew. At first glance, this looks to be similar to the normal Chinnock, however instead of the oval/round opening in the barrel, this one has a rectangular cutaway–marked CHINNOCK’S PATENT, MAY 27, 1862 (see O’Leary, 1996: p. 33). 2. Old Crow figural corkscrew. The neck stand is marked PAUL A HENCKELS, GERMANY, and on the reverse side of the crow it is an advertisement for “THE OLD CROW DISTILLERY, FRANKFORT, KENTUCKY” (see Bull, 1999: p. 222 and Bull, 2009: p. 53). 3. Atypical 1894 Charles Puddefoot “Detroit” patent corkscrew. Unmarked, but the neck stand clearly is Puddefoot. What makes this one unusual is the addition of the knife–which is usually only found on the 1891 Davis waiter. (see O’Leary, 1996: p 83, 84 and 88). 4. 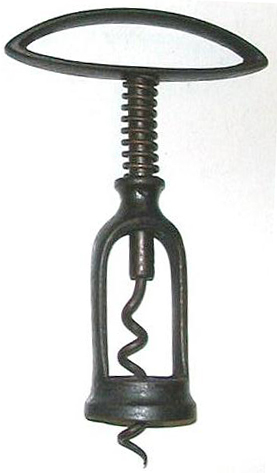 1891 David W. Davis “Improved” patent decorative corkscrew–marked DAVIS ‘IMPROVED’ PAT’D JULY 14 91, OTHER PATS. PND’G (see O’Leary, 1996: p. 83-84). 5. 1891 David W. Davis “Improved” patent mermaid corkscrew–marked, COMPLIMENTS CHARLES STAEBLER, 257 BEAUBIEN ST., DETROIT, MICH. DAVIS ‘IMPROVED’ PAT’D JULY 14 91, OTHER PATS. PND’G (see O’Leary, 1996: p 83-84). 6. 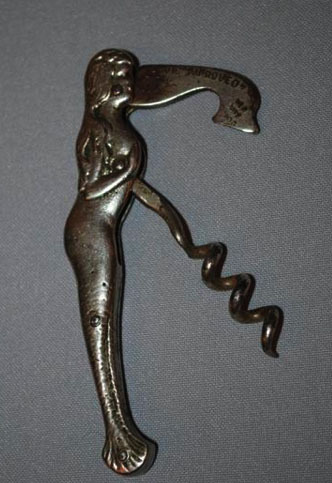 1894 Charles Puddefoot “Detroit” patent leg corkscrew–marked THE DETROIT PAT’D JULY 10, ’94 (see O’Leary, 1996: p 88). So… there I am, taking pictures and compiling this year’s best 6 corkscrews of the year, when an email comes through with a nice offer of another Frary variation. A deal was struck in short order, and a nice open handle Frary with hercules type mechanism will be headed to the island tomorrow morning. And, I am not really complaining, mind you. I am more than happy to add great corkscrews to the collection, but I might need to rethink the best 6. Should the Frary be added? It certainly will be added to the Frary Corkscrew page in the near future. Anyone have it? I am willing to trade huge to get it!!!! Several months ago, I was contacted by several members of the ICCA to see if I would be interested in helping to build the club’s new website. And, I was thrilled to be part of the process. So, over the last 6 months–working with Sez G–we have put together a website which was officially launched last night. You can link to it here, or add the-icca.net to your bookmarks for future reference . But, this is only the beginning. Over the coming year, the second half of the website will be under construction. 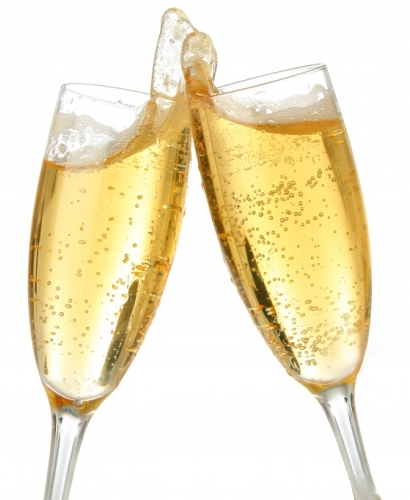 And, in 2012 there will also be an ICCA members only website, where the club newsletter will be available online–including the entire archive of past issues–a searchable index of best sixes, and an area for recent research where addicts can collaboratively work on corkscrew research, and much much more. Feel free to check out the new site! And, stay tuned for more corkscrew news! two pillar arrives and putting together my best 6 corkscrews for 2011. The two pillar arrived the other day, and it is quite handsome. No markings, but definitely a nice corkscrew. Many of these stayed in the collection, and therefore may make the Best 6 list–Some of these made their way into other collections. Making the decision of what makes the list is always a challenge, is it about rarity, is it desirability, or some link between their origins, or do a couple simply make the cut because regardless of rarity/value/desirability, I just like them… Of course, this also is a fun decision, as it allows me to reflect on the hunting, the early mornings at Brimfield, countless miles with Tommy at the JFO, trades made with friends and fellow collectors, online deals, and just knowing that if you are diligent enough, the finds are still out there. While, I will start the decision making process, for your viewing pleasure, here are a couple that might make the best 6 of the year (and yes, all were acquired over the corkscrew fiscal year). I will preface this blog entry, by explaining that I had nothing to do with this (although, I wish I had). On November 2nd, an odd lot of corkscrew was listed on eBay with a opening price of 9.99. I had actually seen the lot, and noticed a really odd corkscrew. I went about my day, wondering what the hell it was. Could it be a marriage of parts? It definitely was odd looking. Thirty minutes later the item was revised with a Buy It Now for 50.00. However, the Buy it Now button didn’t get clicked for three minutes! With a few weeks having passed, I had forgotten about the odd lot of corkscrews, until on November 30th, when the odd corkscrew resurfaced on eBay. This time with a starting price of $ 5000.00. And, ultimately ending a week later at almost $ 8,000.00. That is quite a nice little profit. In talking with RL about the odd corkscrew, he asked if I had seen the pre-revised listing. I explained that I had, however, I hadn’t ever seen that particular corkscrew before. So, I started going through the various books. 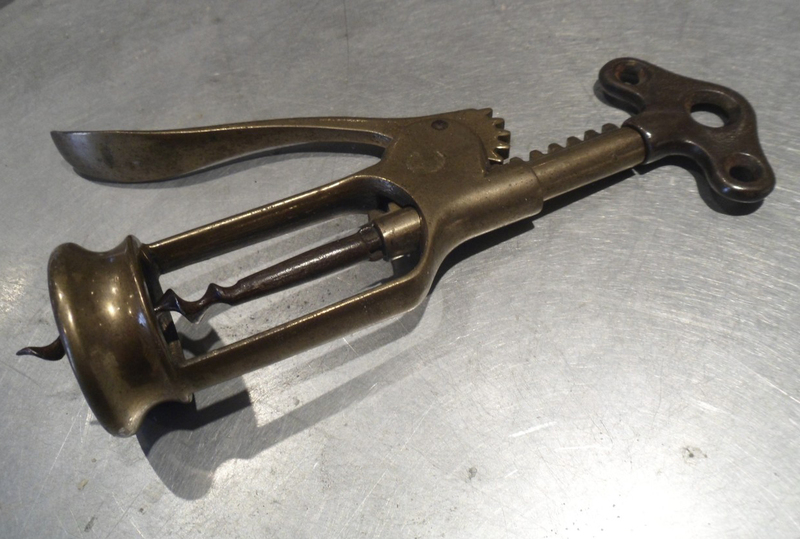 And, on page 146 of de Sanctis and Fantoni’s “Cavatappi” pictured is a very similar corkscrew. “I saw it when it was listed and e-mailed the seller for a buy it now price. I did not give the seller a price though. About an hour later I got an e-mail from the seller saying 2 others had asked to put a buy it now price on the item so she added a 50.00 buy it now price. I guess I was the first one e-mailed about the buy it now price so I went to the item and pushed the button before anyone else did and it was mine. The seller insinuated that the other buyers were quite disappointed about not getting the item. (The unnamed Binner, did say I would publish this). 34 days ago (well 35 now), a corkscrew was listed on an online auction (not eBay) and I had been watching it hoping that it would somehow sneak through. I registered for the auction the day it was listed, and after a couple of days placed a modest bid. For the next week, no other bids were recorded. As we were only 20 or so days away, I checked back on the auction, and there was another bidder–apparently it wasn’t going to slip through. Someone else had found the desirable corkscrew. With about 16 days to go, I got out bid, and I promptly raised my bid. For the next 9 and a half days, I was the high bidder at a pittance of what the piece was worth–a couple of bids raised the price, but I was still in the lead. And, finally, after a 34 day wait, the auction was to happen yesterday at 4:00 est. However, by noon, I had been out bid. I decided to take a chance, and throw a bigger number at it. And at 3:59 I was still in the lead. 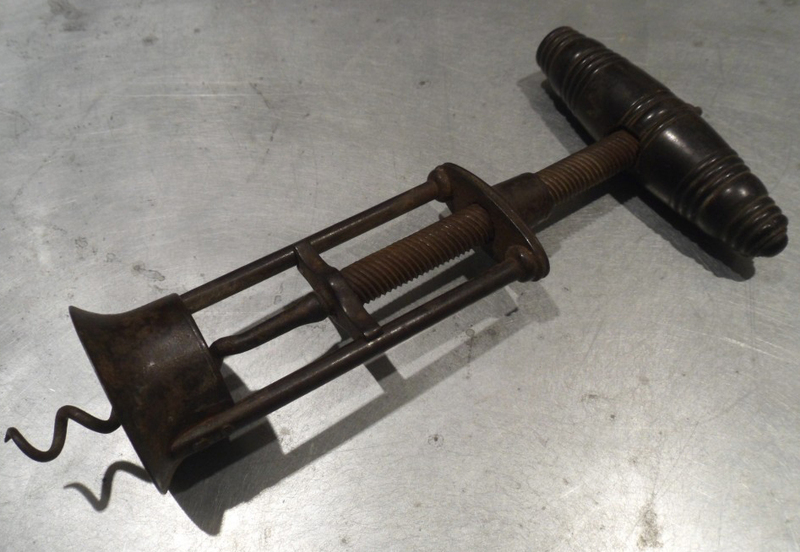 No worries, I thought, as I was going to be watching the live auction online, and should a floor bidder try and nab the corkscrew, I would be at the ready–having decided that I would go nearly 3 times what I had bid on the piece. So, at the appropriate time, I went online and set about getting into the live auction. I couldn’t get in. For some reason the software on a Mac does not really match up with their Java based bidding system. I updated whatever I could update, and tried again. No luck. Not wanting to lose the corkscrew, I grabbed the netbook that I have, and tried logging on there. It seemed that this might be my way in, until an error message popped up that something needed to be reconfigured to make the program work. What to do…? What to do….? I called the auctioneer directly, and explained the situation. They allayed my fears, and said they would indeed up my absentee bid if necessary. The corkscrew did indeed slip through. While there were a few bidders that took it up to its ending price, it was a corkscrew that somehow eluded detection. And, so 34 days later, the confirmation email came through that indeed I had won the auction, and a fantastic corkscrew will be heading to the collection (and, into the best 6 for 2011).